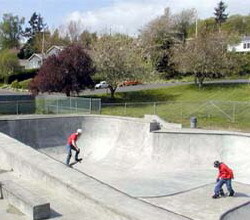 Location and address in Oregon: To get to Astoria skatepark you need to go to Seaside and then drive to Astoria up HWY 101, or go up Hwy 30. Right after you reach the bridge to Astoria, take HWY 101 South for about half a mile until you see a Dairy Queen on the left. Take a left at this street (Denver) and follow up the hill for two blocks. The park is on the right, and plenty of street parking is available. Description: This park is awesome! Another smooth, fast Dreamland creation. 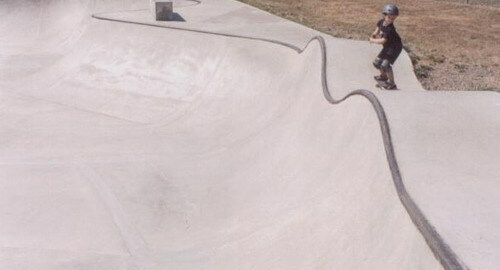 Coping is perfect, and there are lots of hips and transfers. In the deep end, (pics coming soon!) 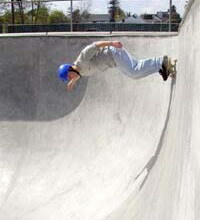 there are 13 ft walls for you to hit, with pool coping on one side and steel coping on the other. Special Comments: HELMETS ARE REQUIRED. This kid was ripping the park super fast and he is probably only about 12. 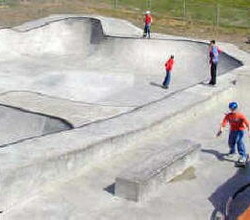 Build a sick park, and the kids can keep up with it. A prime example that if a city builds a challenging park, kids will learn faster and get better, without dying of boredom from "safe" facilities. These two photos were taken in sequence, he pumps around the 12'+ walls, then 50-50s up and over the long hip. 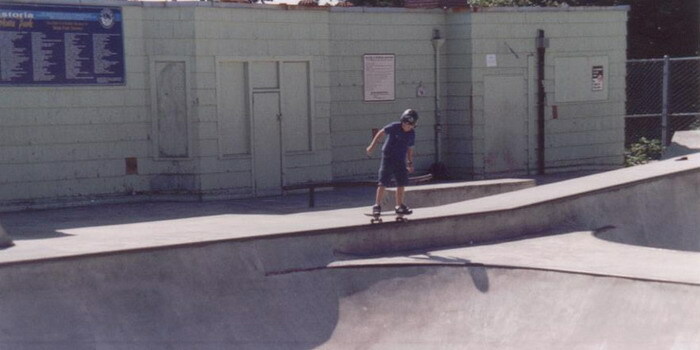 A local comes off a hefty frontside 5-0 from the deep end's 12'+ pool coping. 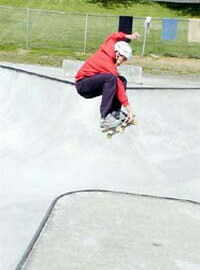 Note how the pool coping changes to steel coping where my board and camera bag are in the left of the photo. Pics below from Brandon Walker--thanks Brandon!